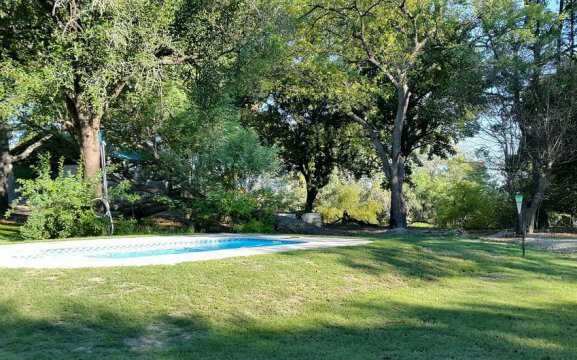 The Caprivi Mutoya Lodge is located on the banks of a peaceful backwater of the Zambezi River and is the local name for “Waterberry Tree”. 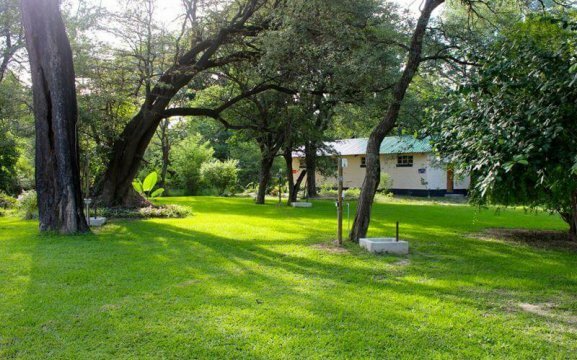 It is surrounded by ancient Jackalberry Trees (African Ebony) as well as numerous other indigenous trees. It is a home to monkeys, squirrels, birds and other small animals. 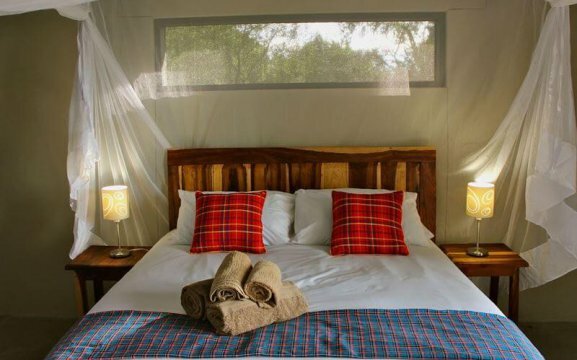 The lodge features a swimming pool, bar, restaurant, small lounge with books and games and access to the internet. 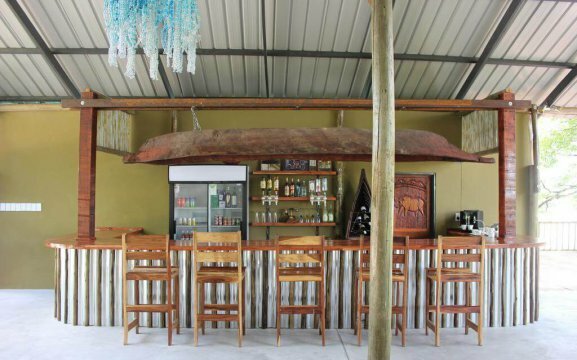 Our restaurant offers stunning lake views, surrounded by a large wooden deck and fire pit. Packed lunches can be arranged with reception. 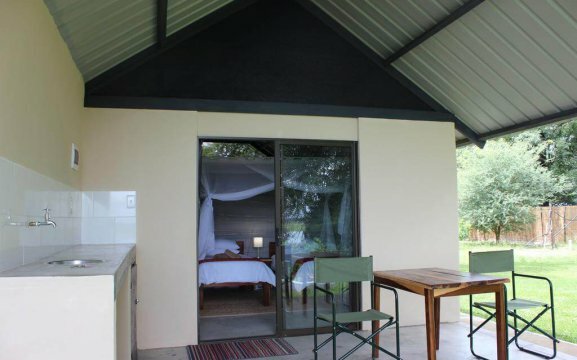 Caprivi Mutoya Lodge accommodation comprises in en-suite self-catering tents and campsites. Campers may use the restaurant, if they wish not to cater. Our lodge is powered by solar and gas. 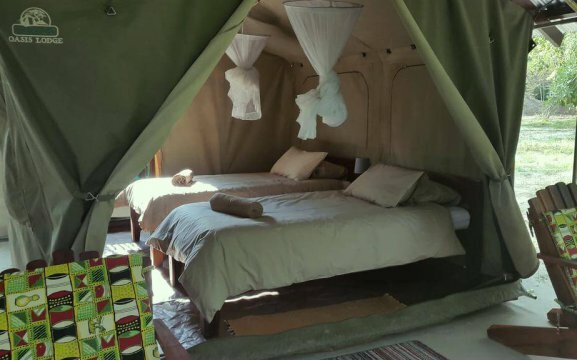 Some of the tents have a kitchenette with fridge and stovetop, free toiletries and bed linen is provided. 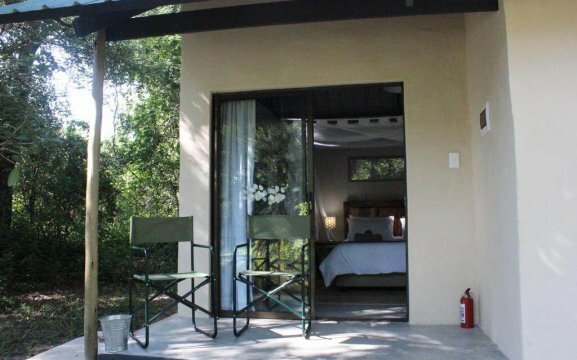 The Campsites have a small garden with braai facilities and ablution blocks. We have many activities to offer, including boat cruises, fishing, birding, canoeing, nature trails, cycling, mountain biking and sunset cruises. At our reception we also offer babysitting. 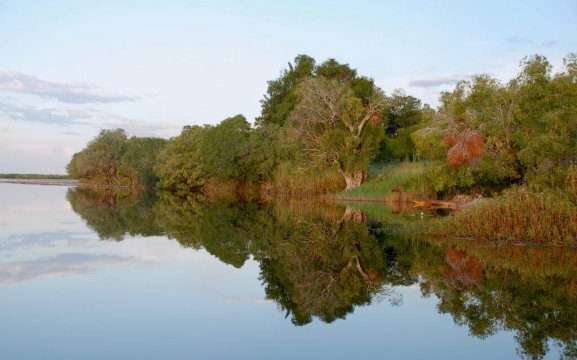 You can row out on canoes and see crocodiles, hippos and different birds that the lake has to offer. Boat outings can be arranged for fishing the famous Tigerfish and barbel or to just have a sundowner cruise and enjoy the scenery. 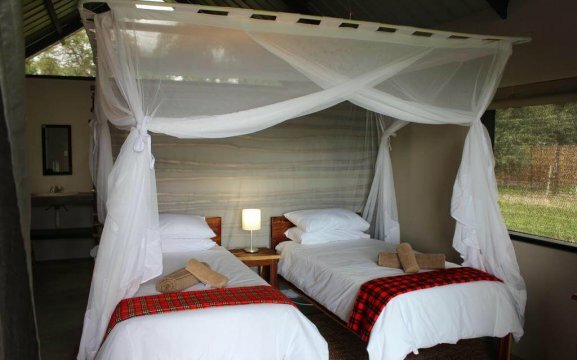 Guests can visit the Bwabwata National Park, Chobe National Park or the Victoria Falls in Zimbabwe. We have hiking trails through the forests, where you will be able to see monkeys, mongooses, squirrels and a variety of bird species. The largest Carmine Bee-Eater colony in Southern Africa can be found here, just 15km from the lodge – perfect for photographic opportunities.